Teaching kids with learning disabilities. Roll the ball into the center. All did it! 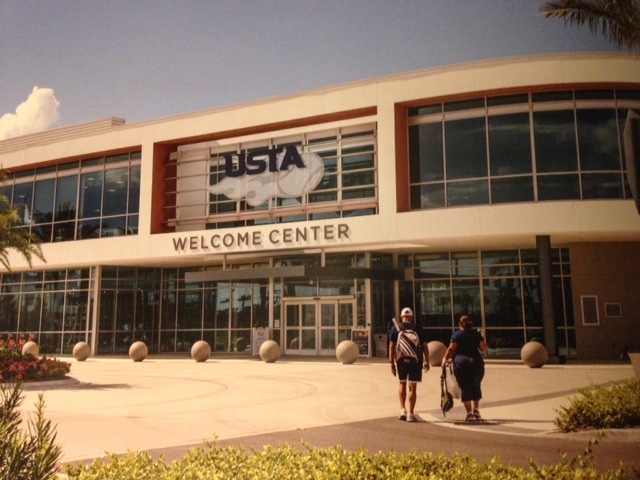 In 2017, the USTA (United State Tennis Association) invited the USPTA (United States Professional Tennis Association), a tennis teaching organization in Houston, to join them in being part of the new National Tennis Center at Lake Nona, Orlando, FL. 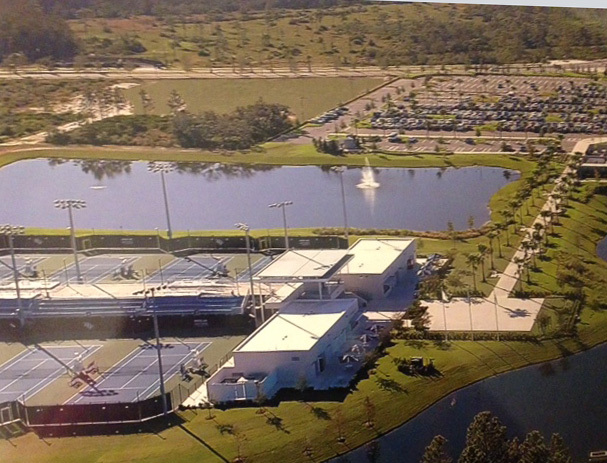 In developing their vision for the USTA National Campus, the USTA understood how important it was to the sport’s future for them to be successful in engaging kids. For tennis to attract and retain today’s youth and millennials, they needed to increase and improve their provider network to deliver the sport in modern and relevant ways. 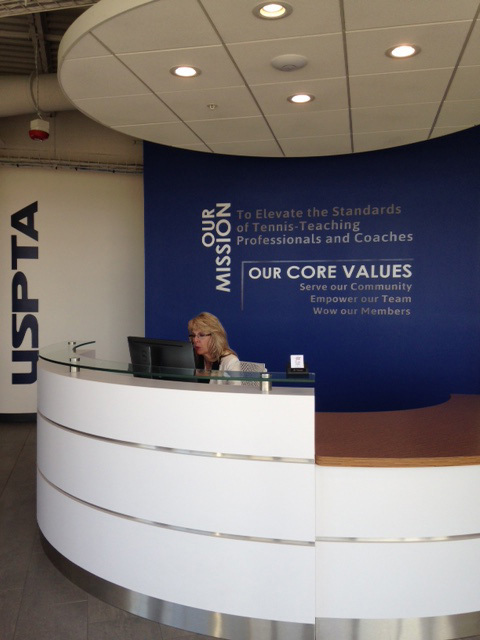 As a result, the USTA National Campus is being operated with the aim of developing the next generation of tennis providers, a group that includes coaches, tournament directors, officials, front desk and retail managers, and stringers. To help make this happen, the campus is serving as an epicenter for experimential learning by offering internships and apprenticeships. They also share educational content of all types with tennis providers. 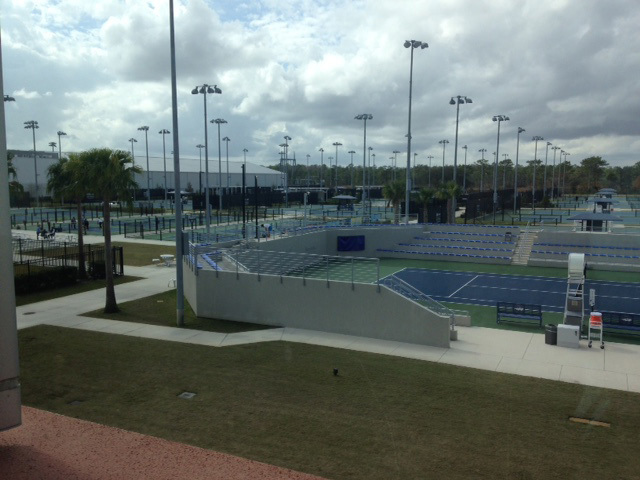 The USTA National Campus is an inclusive facility and is making sure they are making tennis accessible to all. The campus is open to the public seven days a week, and courts can be reserved online up to 48 hours in advance. The courts and tennis programs are low cost, with some being made available for free. 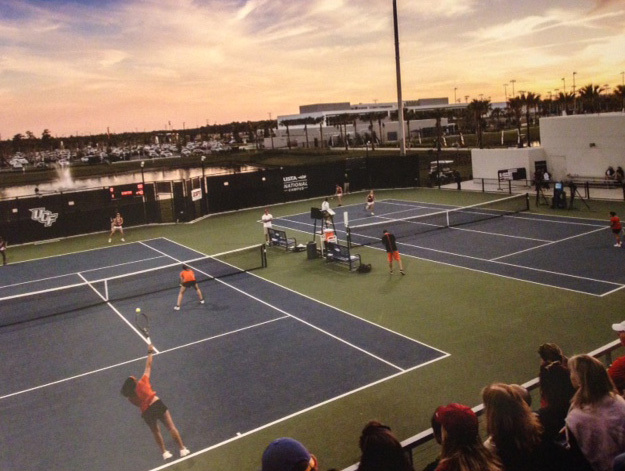 The facility has courts of almost every description–three kinds of hard courts and two kinds of clay courts. The Adidas Performance Center features six indoor courts while the Nemours Family Zone has 36-foot and 60-foot courts for youths and adults to learn to play the game. Whether people who visit the facility are competing in a tournament, looking to develop their backhand, seeking to improve their coaching, or simply sharing the joy of hitting tennis balls with family or friends, all who come are finding it to be a mecca for tennis and a melting pot for the sport. 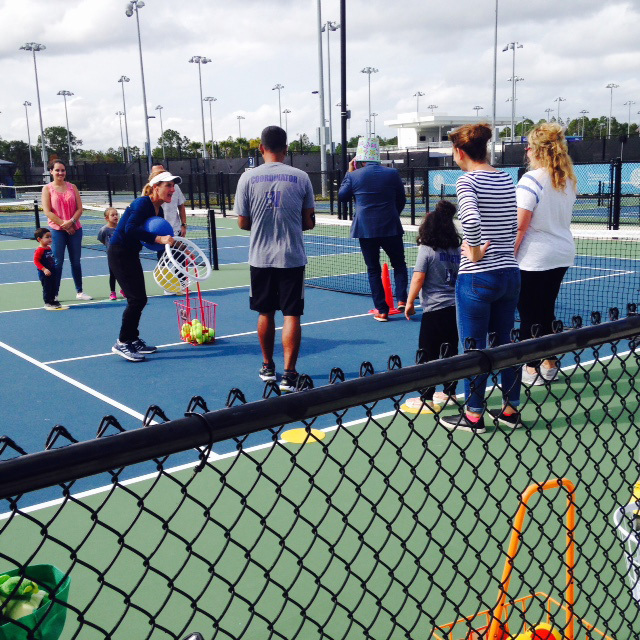 Tennis programs are also being offered for disabled veterans and wounded service members in collaboration with the Orlando Veteran Affairs Medical Center as well as for wheelchair tennis. Tennis is the most amazing sport. If you love team sports, tennis is for you; if you love individual sports, tennis is for you. You can play socially or competitively. The USTA has specialists who know how to teach, how to get anyone to play. Everyone can learn to throw and catch a ball. That’s how we begin when teaching tennis, learn how to run, how to turn, how to change direction quickly, how to reach, how to look and see. Tennis can strengthen your body, keep you in good health and help your posture. 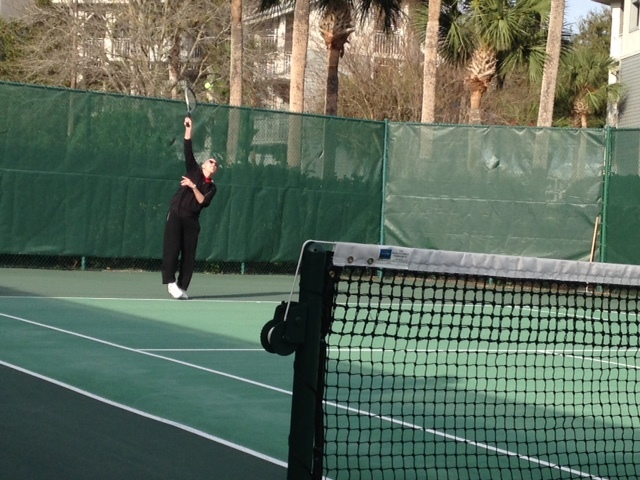 Although I’m a retired USPTA member, Tom and I hit when we can. Nothing replaces that glorious feeling of being on the tennis court and hitting that ball. Some folks work out in the gym to tone the body. Some become runners to tone agility and speed. 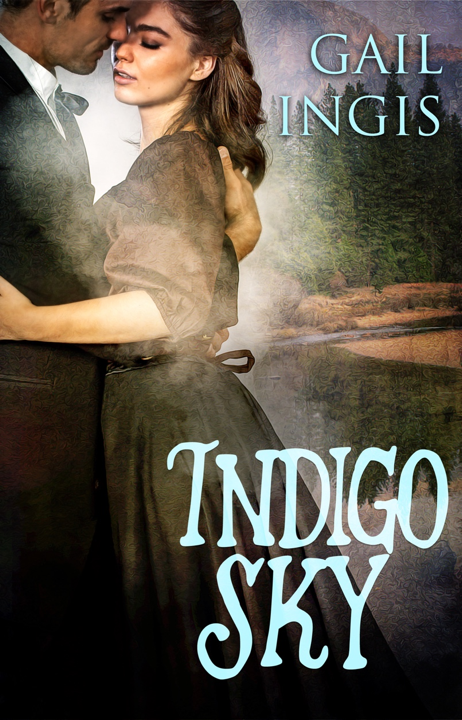 Purchase Indigo Sky on Amazon click the link beneath the graphic.